When a young man named Barry unintentionally discovers a meeting of Nazi war criminals, he tries his best to enlist help to stop them from carrying out a dangerous plot. An older man named Ezra, who has hunted war criminals in the past, is initially skeptical about Barry's information but ends up convinced and begins to investigate. What he discovers is more chilling than anyone might have suspected. Ezra (played by renowned actor Laurence Oliver) must commit himself to foiling the terrible and incredible plan. 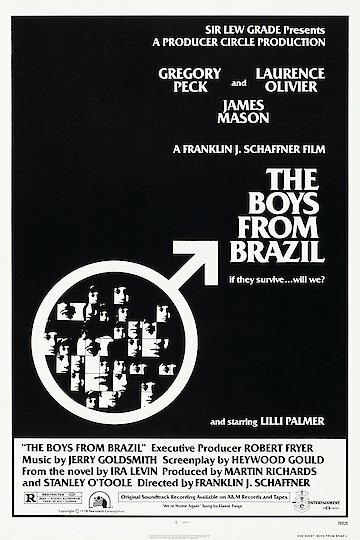 The Boys from Brazil is currently available to watch free on Tubi TV, Popcornflix and stream, download, buy on demand at Amazon, Vudu, Google Play, iTunes, YouTube VOD online.